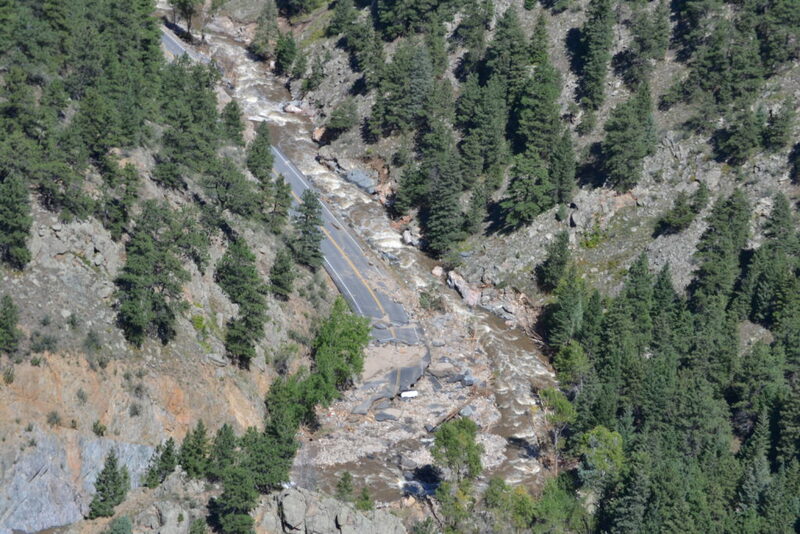 In September 2013, 17 inches of rain fell throughout Boulder County. One of the hardest hit areas was James Canyon. 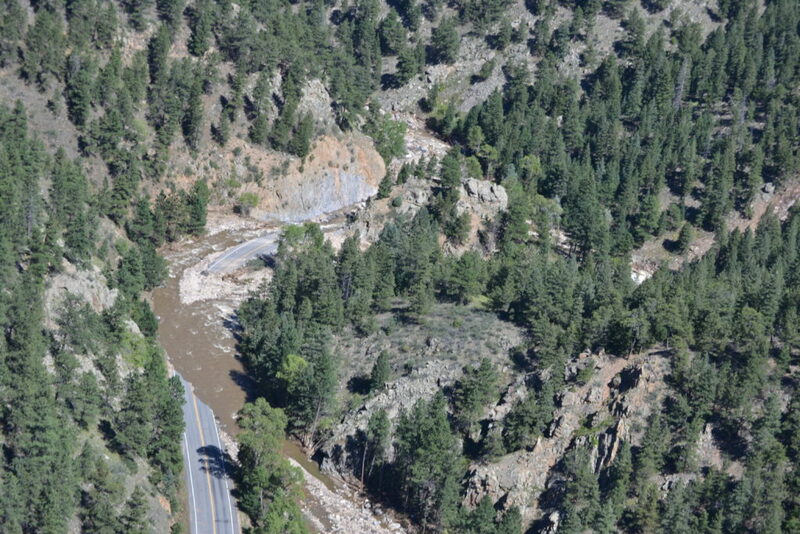 The rain and corresponding flooding destroyed much of the road through Jamestown and almost everything through James Canyon and permanently altered James Creek. 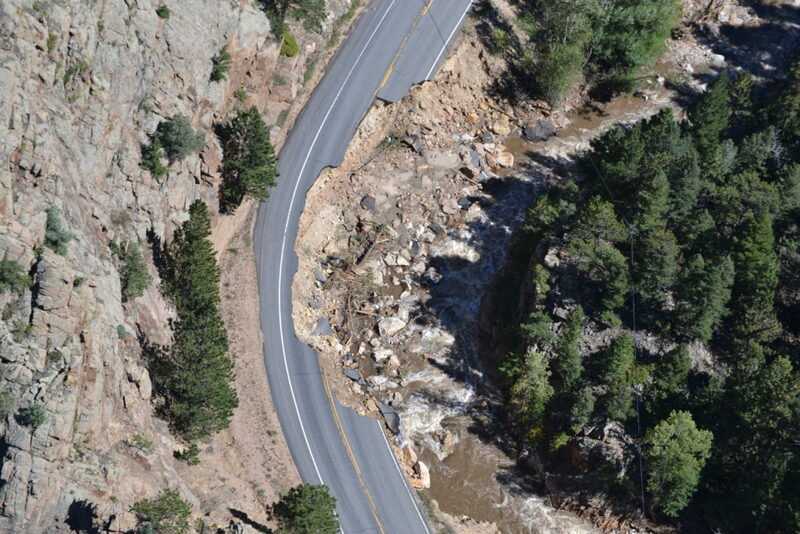 Shortly after flood waters receded, Boulder County got to work and built an emergency access road into town to help get people some much needed relief and supplies. Soon after the emergency road was built, the county returned and created a temporary “winter road” that allowed for access beyond high-clearance 4WD vehicles. This road remained in place until the summer of 2014 when a temporary asphalt surface was applied to the gravel sections of the roadway. The asphalt surface was applied so that area residents and service providers had a safe road to drive on while they completed their own flood recovery-related repairs and so that Boulder County and their engineering team could work on a permanent design for a roadway that would be safer for all travelers and one that would be resilient towards future flood events. The plan set has been broken down into pieces to make it easier to open/download. Pages 48 to 67 = Road details, hydrant details, structure details, culvert details, and storm drainage plans and profiles.